Mandelic Acid 5% Skin Prep Water by Wishtrend is a hydrating daily exfoliant which can be used on even sensitive skin without irritation to improve skin tone and texture whilst boosting the effectiveness of products to follow. As the name suggests, Mandelic Acid is the key ingredient in this formula, second only in concentration to water. Mandelic Acid is an Alpha Hydroxy Acid (AHA) made from the extract of bitter almonds, it’s name derived from the German word for almond, “mandel”. 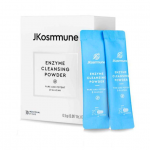 It delivers similar benefits as other AHAs such as glycolic and lactic acids but because it comprises larger molecules, it doesn’t penetrate the skin as deeply. 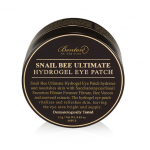 Therefore, it is generally less irritating so a great option for those with sensitive skin. 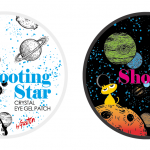 It targets three main skincare concerns – wrinkles and fine lines; hyperpigmentation and discolouration; plus acne. Mandelic acid accelerates cell turnover, removing dead surface cells to brighten complexion and improve fine lines. 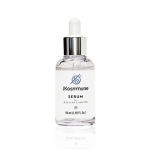 It strengthens collagen for increased firmness, delivering an effective overall anti-ageing solution. It’s also a tone corrector, helping to even out pigmentation by reducing dark spots. Due to it’s antibacterial and anti-inflammatory properties, it additionally makes it a good acne treatment as it regulates sebum production and promotes clear pores. 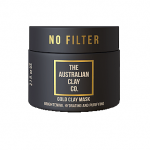 There are some real star ingredients in this formula that address healing and anti-ageing . Beta-Glucan is one. A soluble fibre extracted from oats capable of reducing redness, itching and soothing sensitive skin reactions, it’s also an antioxidant source, helping to minimize and repair the damage done by toxins and stress. Similarly, Chameleon Plant (Houttuynia Cordata) Extract, Dimethyl sulfone and Centella Asiatica Extract (Gotu Kola) can accelerate the healing of damaged tissues and minimize scarring. The latter, together with the amino acid Arginine, are effective natural ageing treatments through their provision of collagen support. Licorice Root Extract is an anti-inflammatory and antioxidant which helps control oil production to calm and soothe acne-prone skin. When combined with AHAs it promotes skin whitening to reduce dark age spots. Balancing the formulation are hydrators. Panthenol is present in all living cells which makes it highly penetrative, hydrating and moisturising. When topically applied, it converts to pantothenic acid (Vitamin B5) which can penetrate deep into the lower layers. 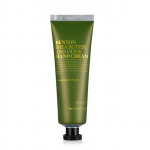 When used consistently, it displays anti-inflammatory symptoms to relieve itching and sooth dry skin. Similar to Sorbital it is a humectant, proficient at retaining moisture within the skin tissues to reduce dryness and flakiness. Due to its low molecular size, Sodium Hyaluronate can reach deep into the dermis to combine with, maintain and attract water making it a superb natural moisturiser. The nut kernels from the sweet almond tree deliver an oil which also appears in the formulation. Due to its mild nature, Sweet Almond Extract is well tolerated and absorbed. It exhibits a high content of essential fatty acids which improve the skin barrier. Both Sweet Almon Extract and Hydrolyzed Collagen act to restore skin suppleness. All up, an impressive collection of ingredients which together appear to address the product claims. 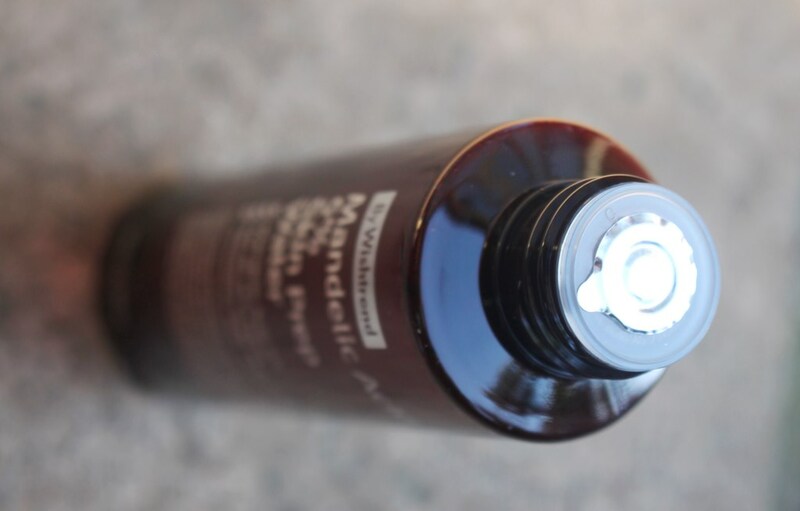 The Mandelic Acid 5% Skin Prep Water by Wishtrend is presented in a tinted, cylindrical plastic bottle with a screw top lid and dropper cap for controlled dispensing. This formula is a real winner in terms of ingredients and their gentle effect with both the CosDNA report and EWG Cosmetic Database giving it an excellent rating. 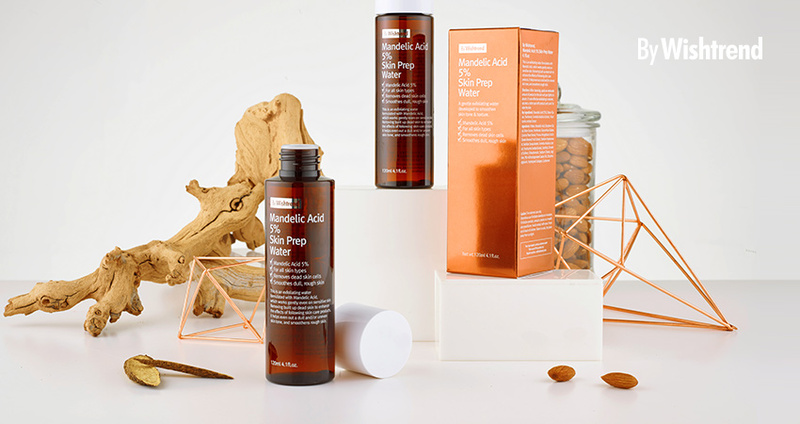 The Mandelic Acid 5% Skin Prep Water by Wishtrend should be applied before toner by dispensing a few drops onto a cotton pad and swiping gently over the face. 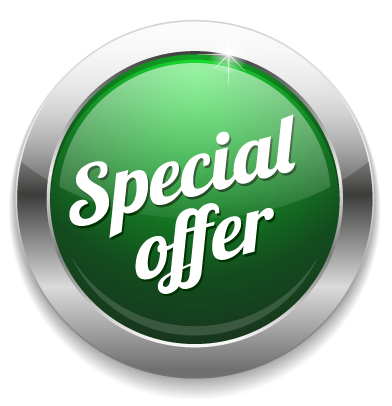 The number of applications depends on skin type, 2-3 times a week being the sensitive skin recommendation. It should not be used in conjunction with other facial scrubs, AHAs, BHAs and Vitamin C products but should be accompanied by sunscreen use if applied during the day. This product has a unique scent, much of it contributed by the concentrated almond content. It’s like an almond essence with a medicinal twist. 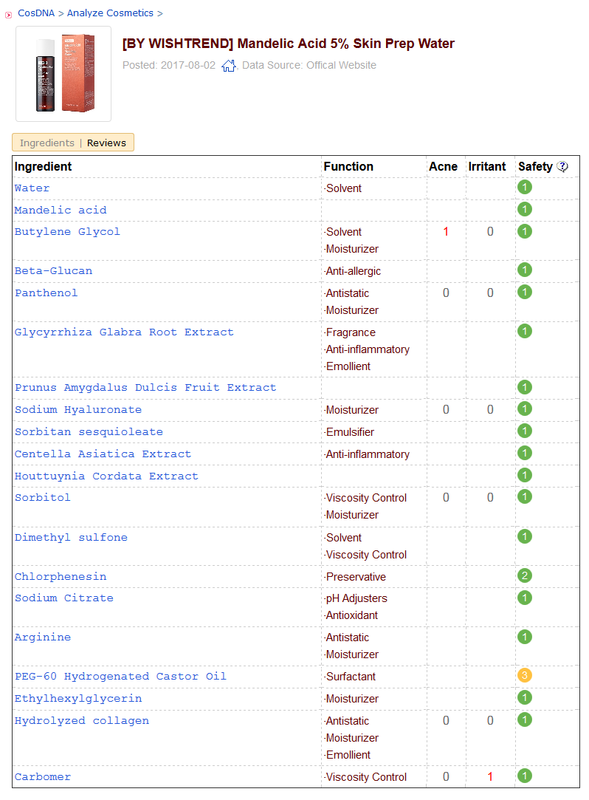 The 120ml Mandelic Acid 5% Skin Prep Water sells for US$22.00. The acid toner is available at Wishtrend. Let me start by saying that I have used AHAs before so this one did not pack a punch in terms of the skin sensation experienced, it was very gentle. I like to use AHAs/BHAs at night so I applied this to my face after double cleansing hoping to smooth out my skin’s texture and better prepare it for the remainder of my evening skincare routine. I always follow up with sunscreen the next day. The tinted bottle allows easy detection of product volume and provides some protection against light exposure and associated product degradation. The dropper cap ensures the ideal amount can be hygienically dispensed onto a cotton pad easily. As with all acid toners, I avoid the area around my eyes and mouth and never pat it into my skin (I do this with hydrating toners only). The liquid is water like, slightly more viscous. It has a hint of fragrance due to the high content of almond product which smells something like a slightly medicinal version of an almond essence. I found this to be non-irritating as it is so subtle and natural. All up, the science and application are impressive and easy, respectively. Before beginning this trial, I was using another acid toner which was providing effective and pleasing results. I replaced that one with the By Wishtrend product and maintained the remainder of my routine so any difference could confidently be attributed to the acid used. 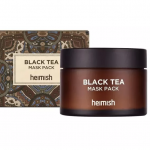 During the first week, I applied this after a physical exfoliation with a black sugar mask and the effect was unmistakable irritation. I hadn’t applied a scrub like this in many weeks and the acid toner was a habitual step I took without even thinking. Normally it’s one or the other not both. There was some stinging and redness but I suppose this was a message from my face telling me one exfoliation at a time is plenty! Note, Wishtrend does state on their website that this toner “should not be used in conjunction with other facial scrubs, AHAs, BHAs and Vitamin C products”, so please adhere to this warning if you trial it. Thankfully, the effects were short lived and my skin calmed and was back to normal within a couple of hours. With the correct application, I did find this product nonirritating. It will however sting if applied to any slight skin lesion caused from acne or physical exfoliation, so avoid applying it on already irritated or damaged skin. The effect is not overwhelming but I believe when your skin reacts in an adverse manner, it is a signal you shouldn’t ignore. For the weeks to follow, I used the Mandelic 5% Skin Prep Water after a double cleanse and followed up with a hydrating toner and the remainder of my evening routine. After a short patch test period, I opted to apply the toner nightly since my skin is not sensitive and can handle frequent application. So in response to the By Wishtrend claims, regarding hydration, I didn’t find this product drying at all but I can’t say it enhanced hydration either. It left the moisture balance of my skin unchanged. Given the recommendation is to follow this step with a hydrating toner, I was happy enough by the fact that there was no drying effect. The next claim is that the product delivers a nonirritating exfoliation. 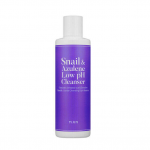 When used as instructed, straight after cleansing, this acid toner does gently exfoliate. The skin looks clean and smooth immediately after application, indicating that dead skin cells have been swiped off. And as such, it does improve skin texture, the next promise. 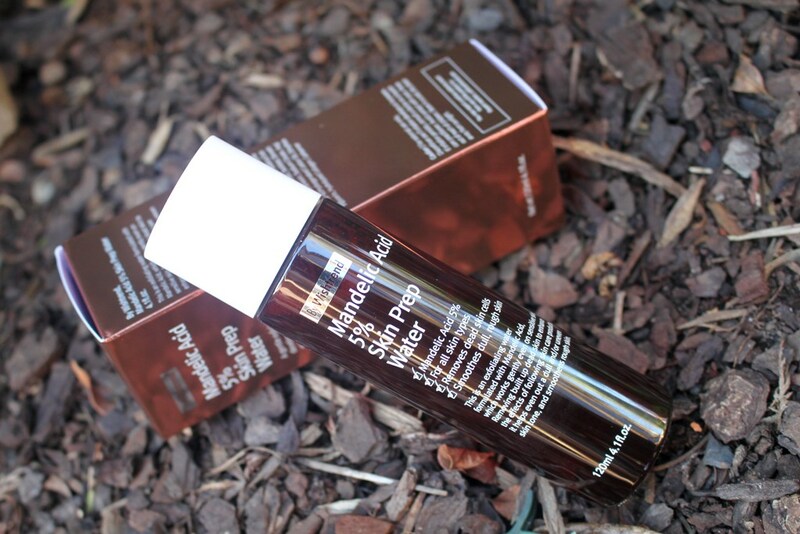 My skin felt soft and smooth and although not plump, it was certainly not dry. 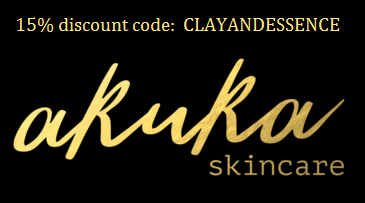 I didn’t see any change in my skin tone after using this product for almost a month. I already had a “glow” from my previous toner so this one maintained that which is an excellent result. 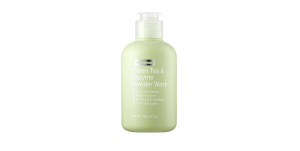 The final claim is that the toner boosts the effectiveness of the products to follow. 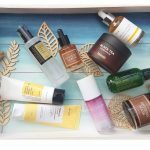 This is difficult to judge at it is dependent on the products you apply and how quickly they effect your overall skin health. 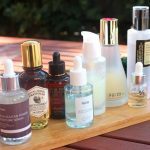 My current night routine focuses on repair, so I apply anti-ageing serum, a repairing ampoule, eye cream, rosehip seed oil and moisturiser to seal it all in. These products are slow operators that deliver results over the long term so it is not possible to see a short term increase in their effectiveness. 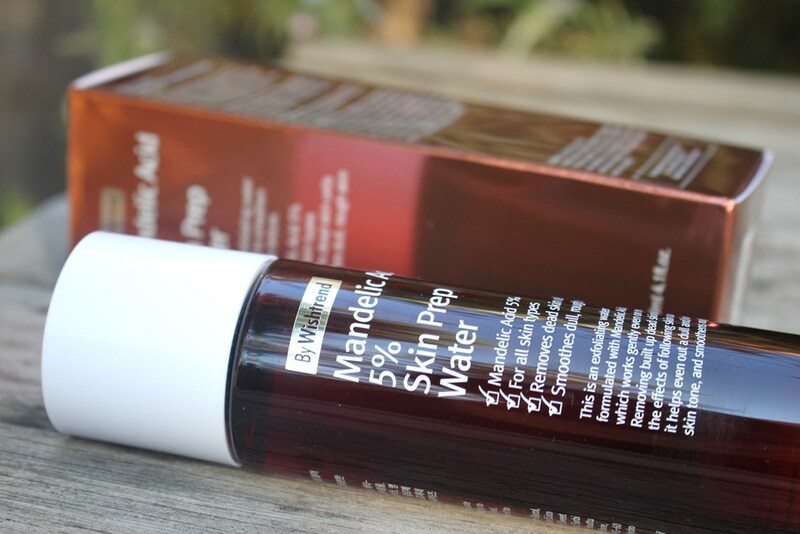 However, the Mandelic 5% Skin Prep Water leaves the skin clean, balanced and gently exfoliated, pores free of debris and sebum. In doing that, it can safely be said that without this step, remaining skincare wouldn’t apply/absorb as well and therefore would fail to be as effective. As such, I am satisfied that the Mandelic Acid Toner does in fact boost the effectiveness of products that follow. 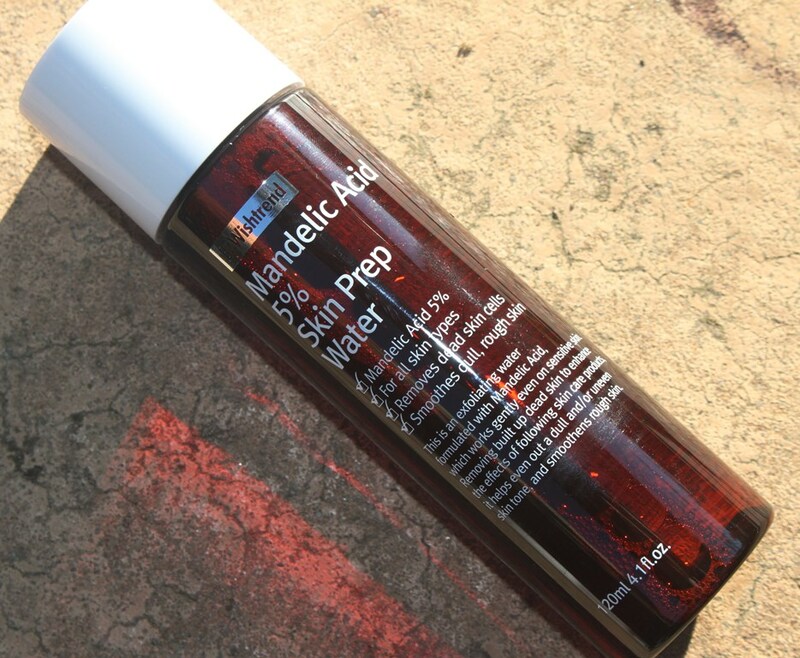 The Mandelic Acid 5% Skin Prep Water by Wishtrend is gentle, hygienically presented, fairly priced and effective. After using this product nightly for one month, I have enjoyed its effects on my skin. This is a great option for those with sensitive skin who can’t handle glycolic and lactic acid solutions since mandelic acid functions more gently. Similarly, it’s an excellent option for people introducing acids to their routine and anyone who doesn’t like the abrasive nature of physical exfoliation. 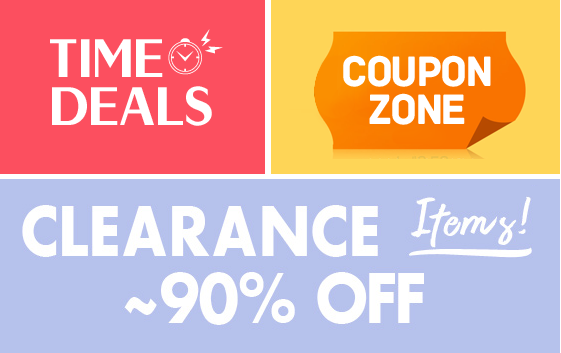 This product was provided to me free of charge by WishTrend for review. This post only includes my honest opinion and experience of this product and is in no way influenced by WishTrend or any of its representatives.